Disaster restoration from 911 Restoration Greensboro incorporates all the repair work your home needs after natural disasters blow though. This could include fire damage restoration due to a broken gas line, water removal after a pipe burst, or mold remediation for a colony growing in the attic after rain leaks. Our disaster restoration Greensboro technicians are familiar with all of these jobs and we have IICRC certificates to prove we are capable of handling these scenarios. It is vital you carry homeowner’s insurance and any applicable riders, because you are going to want help when disaster strikes. 911 Restoration Greensboro is available 24/7/365 to respond within 45 minutes to be that help. When your home suffers a heavy hit from tornadoes, hurricanes, or fires, 911 Restoration is there to provide you with a fresh start. If a tornado shatters your windows, drenches your property in rain, or otherwise harms your building, call 911 Restoration and our disaster restoration Greensboro professional immediately to start the repair process. We work with all insurance companies and always put the customer first. This means we will file your claim for you and ensure your policy provides as much homeowner’s insurance as possible. We are licensed, insured, and bonded to do the work and have over 35 years of experience saving homeowner’s just like you. In 2008 a small, magnitude 2 tornado caused $4million in damages. This tornado started off as an EF-0, offering almost no threat, but it quickly grew. It hit interstate 40 as an EF-1, which was enough to overturn cars and spread havoc on the road. When its winds increased to 130mph it was bumped to an EF-2. It shattered warehouses and ruined products meant to be shipped. An office building lost its roof and many people lost their nerve. 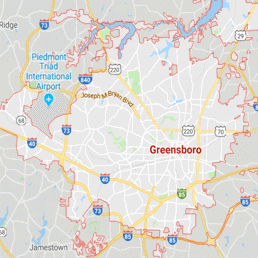 When such a disaster blows through the area, 911 Restoration will be there to provide solace to the people of Greensboro. We have the equipment, expertise, and experience to make your home or business better than it was before the tornado incident. 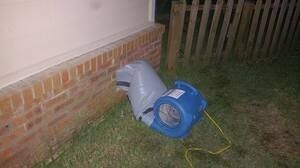 slope that takes flood water away from your home, and insulate your water line in the winter. Most importantly, keep an eye on the weather channel. If a tornado or other catastrophe is headed your direction, turn off your utilities. Our disaster restoration Greensboro operatives carry generators and all the other necessary equipment to get your building back up and running. Utilities that are left on during a disaster make the occurrence much more dangerous, even deadly. 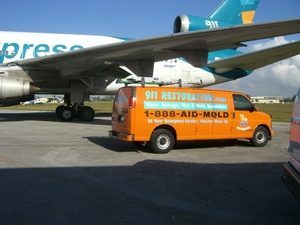 No matter how bad the situation becomes, 911 Restoration can make it better. We lead with support. 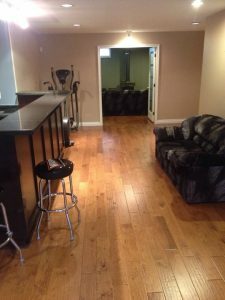 We work with your insurance company to completely remodel flooded kitchens and bathrooms. We find ways to make your life easier after the event than it was before. Call our disaster restoration Greensboro team with 911 Restoration Greensboro when you are looking for a company focused solely on the customer today!